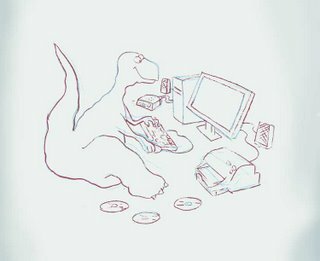 Here’s a first shot at a 2006 version of the Computasaurus. My biggest problem: what should be on the screen? Second: the definition. The old one was rather simplistic. So send me some feedback as to what it is people generally do with their computers.